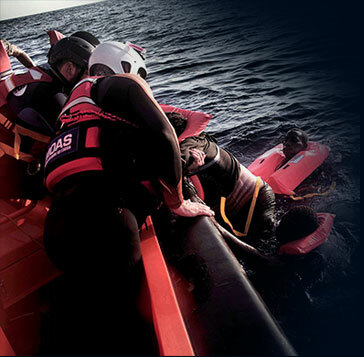 The documentary uses footage from media outlets and embedded video journalists to map the history of the charity and give a raw, unfiltered view of what maritime search and rescue operations really look like. Filmed across several years footage shows MOAS responding to the developing crisis in the Central Mediterranean and the Aegean Sea. The film outlines the various aspects of the rescues as told by the search and rescue crews, tells the stories of those they rescue and gives an insight into the challenges faced by the Catrambones as they fight to keep the charity alive. Over the past two decades, tens of thousands of men, women and children – the majority of whom are refugees escaping violence, persecution and hardship – have lost their lives at sea while searching for a better life.